Hi! I'm your friendly T. Rex! Some people say that I'm a little backwards. What do you think? Tyrannosaurus rex and Ornithomimus (Cretaceous period). From an original painting by Matthew Kalmenoff. 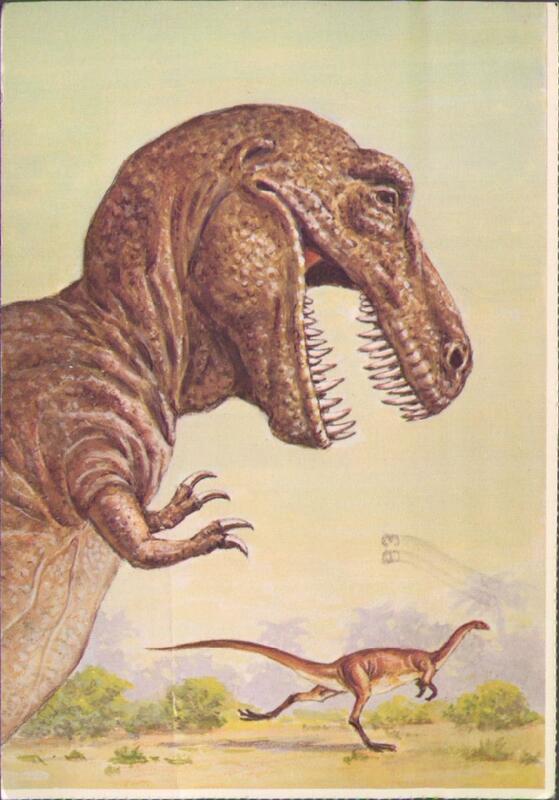 From Dinosaur Postcards in Full Color. I think you need to get closer to that Ornithomimus if you want to eat it, dude. 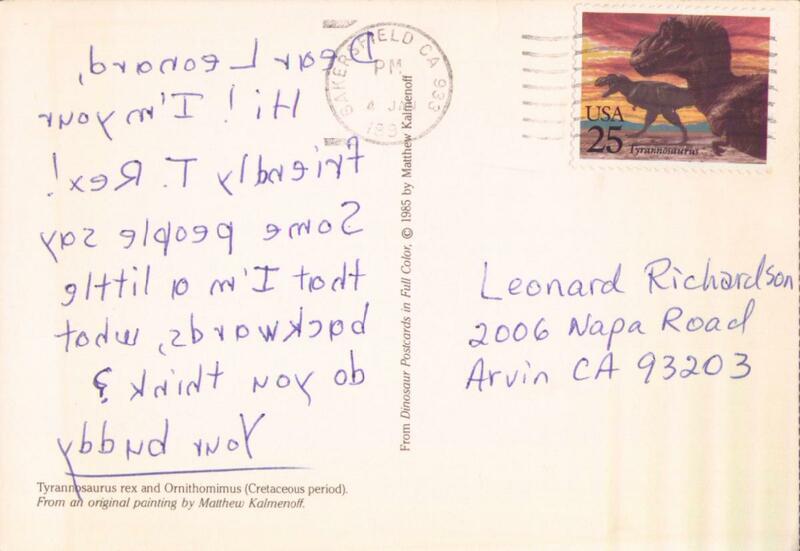 To complete the scene, the smeared stamp on the front looks like a sauropod head and neck.